Currently on the cusp of five years of blogging, it is time for a change. Let me say right away; my blog is not ending! While I honor the brand that I initially built, STYLESILIKE will no longer be the name of my site. This site is now officially ERIN ANN CULLEN. I am extremely proud of that fact. If you are wondering why I am changing this now, allow me to explain. My very FIRST BLOG POST describes why I set my heart on STYLESILIKE. I wrote this first post as a twenty-year old college student from a hotel room in California. At that time, I could not have imagined how much this blog would have pushed me to create more in my life. #STYLESILIKE became a well-used phrase within my family & groups of friends. #STYLEISLIKE transformed into multiple kinds of content for INSTAGRAM, TWITTER, & FACEBOOK. Soon, there were #TRAVELSILIKE, #STORESILIKE, #EATSILIKE, #FRIENDSILIKE, #SIBILINGSILIKE, #COUSINSILIKE, #FLIXILIKE, etc. This blog has always been rooted in positivity & I loved that #(FILLINTHEBLANK)ILIKE resonated with people enough that they would use it in their own daily conversations, Facebook comments, & Instagram captions. Yet, as I have sought to grow this site beyond my network of close family & friends, I found myself too often trying to force STYLESILIKE to fit into my own description of myself & the topics I chose to cover. It always took me several minutes to explain how I came up with the name, in addition to the various “things I like”. 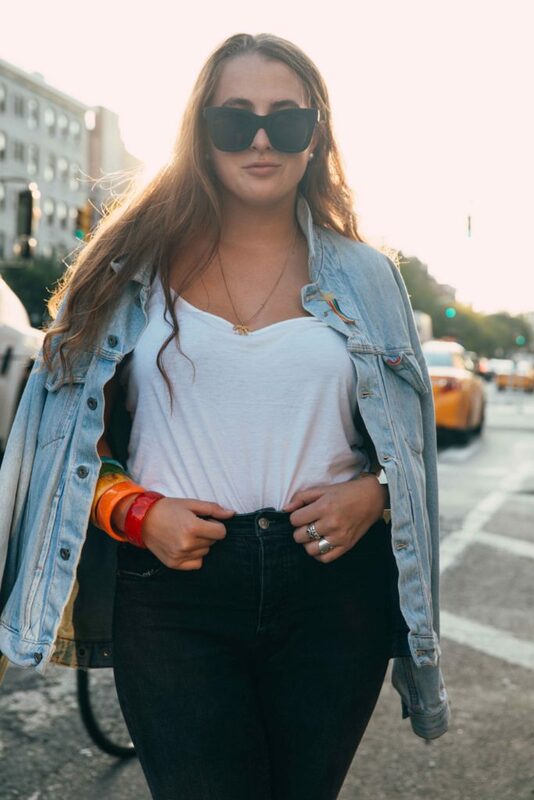 Now, when I continue to generate content, develop partnerships, & make connections, I am excited to introduce myself & my website of the same name quickly, so I can focus on what I am really passionate about – fashion, lifestyle, travel, female empowerment & LGBTQ+ content, & New York city events. I look at the above quotation from my first day writing blog, and I am happy to see that my intention is still the same. My biggest joy in creating is serving as a source of inspiration for others. I didn’t truly realize how much others loved the name until I decided to change it. When I told my mom, she gasped loudly, “WHY?! What is happening? I LOVE STYLESILIKE? !” My roommate was shocked. I will honestly miss the name & all the goodness it carried with it. Yet, I hope my readers – old & new – will embrace these changes, as well as what this moment means. My site may look a little different, but I believe change proves I am committed to growing & comfortable with experimenting. I think this for myself & for the community of people who swing by to read my recommendations, my thoughts, & my outfits. I am only on this journey because I have people who support me every step of the way. Thank you. Thank you. Thank you. To my family who provide constant encouragement. To Steph & RYAN for the almost daily discussions, photo shoots, & text messages about this website. To my friends who ask questions about my work, share my posts, & lift me up with their excitement. To my contacts & friends in the industry that trust me enough to to make connections on my behalf and/or recommend me for opportunities. To the brands who collaborate with me & believe in my mission. To CHLOE DIGITAL for empowering content creators & inspiring me in a multitude of ways over the years. To ALLIE NIMMONS CREATIVE for coordinating the official transfer of my website. To anyone & everyone that has read this blog, followed me on social media, and/or discussed ideas with me at an event, panel, or NYFW. On the last day of the first month of a brand new year, I am exhilarated for what lies ahead. Once more, thank you. PS – if you have any thoughts on content you want to see here and/or further suggestions to improve my site, please let me know in the comments!